I hope everyone in the US had a wonderful Thanksgiving. We certainly did and now that we have returned home, we are getting a dose of winter temperatures. I have been avoiding going outside to take photos, but things I wanted to share were starting to pile up. So I braved the cold and wind (see above photo) - it is just plain blustery here in Chicago! 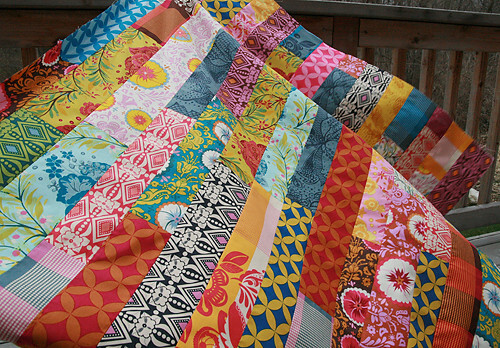 I had quite a few strips of Anna Maria Horner's Good Folks line left over as scraps and I finally put them to good use for this crib quilt top. I probably can officially say this is my favorite line of fabric. It reminds me of something you would buy in Anthropology - so bohemian. 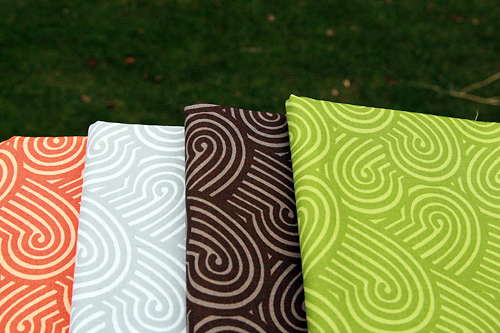 I've also added a bit of new fabric to my stash. I loved this print, Zen Garden, in Patty Young's new line, Sanctuary. It's such a great basic to have on hand. In the spirit of the holiday's, I finished my first Christmas gift for my 1 year old son. I affectionately call him Linus as he drags his blankets all over the house. 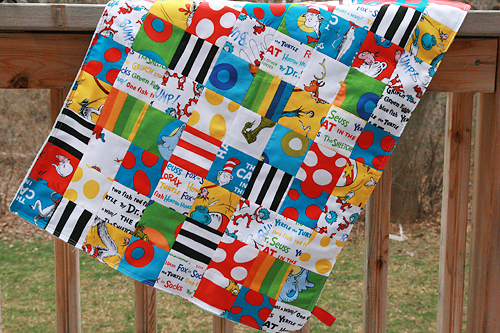 I'm hoping he'll love this Dr. Seuss blanket (with a ribbon tag). The back is a soft blue plain minky. Very cuddly. 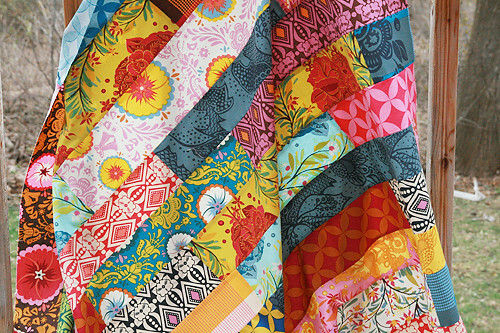 And finally - and this is really getting into the minutia of my life over here - I ordered new packaging for my rag quilt kits in my Etsy shop! Boring, right? Oddly enough, I'm pretty excited about this. I ordered some felt off Etsy a few weeks ago and it was sent to me in a bag made by EcoEnclose. 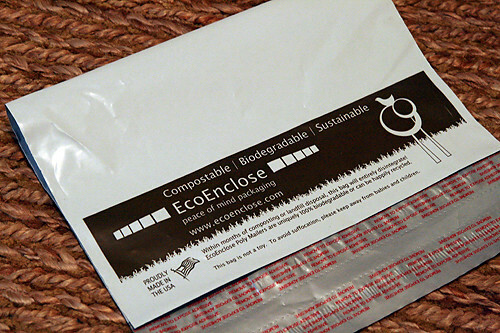 Biodegradable, reusable, made in the USA - it was such a great thing! So of course I needed to get some too. I hope everyone is sewing up a storm for the holidays. I have a few things on my to-do list and hopefully I get motivated to stop huddling under quilts on the couch and start working.